Please fill out one Registration Form and list all family members. Can you give me some background on the team and tell me what to expect? 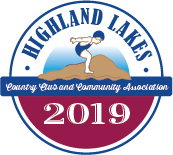 The Highland Lakes Swim Team encourages new and returning swimmers of all abilities to participate on the team. We are a member of the Lakeland Swim Conference (LSC). The LSC is divided into three divisions (Red, White and Blue). Teams are placed in their respective divisions based on relative size and strength of the team, and are reviewed by the league on a bi-annual basis. 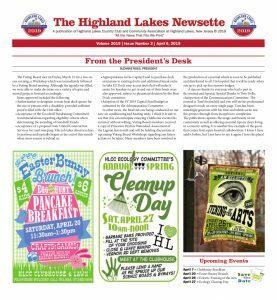 In 2009 several teams were re-aligned, and Highland Lakes was moved to the White division. In 2010 we were the White Division Champions! The season includes regular league meets, invitational meets and championships. Regular season meets are held against teams within our assigned division as well as “crossover” meets against teams from the other divisions. These meets are held on Wednesday evenings at 7:00 pm. See this year’s season schedule. Invitational meets and the A Championship are held on Saturdays. Additionally, a special meet called the Coaches Choice is held on a Thursday evening. What is the practice schedule by age/time? You can learn all you need to know about swim team suits, expected attire for practice and swim meets and find out about HL benefit apparel by reading swim team attire. Qualifying times are established by the league every season for each stroke and age group, male and female. Qualifying times are adjusted mid-season and will be posted. In order to qualify for Championships you must have an “A” time in a particular stroke. Swimmers can participate in the “B” and “C” Invitational meets in strokes for which they do not have an “A” time. Entry fees for invitationals are $3 per swimmer per stroke. Invitational entries are coordinated with the coaching staff for each meet. An additional late fee may apply for late entries. How many events can a swimmer participate in? Swimmers can participate in 2 individual events and 2 relays or 3 individual and one relay per meet. What strokes are swimmers expected to know? Additionally, an exciting part of every meet is the freestyle relay in which 4 members of a particular age group compete together as a team. What is an invitational and what can I expect if I attend one? Invitational meets are optional competitions between swimmers who represent the lakes in the Lakeland Swim Conference. They can be a rewarding experience, but also an exhausting one. These meets are sometimes an all-day event. Each individual team sits in designated team tents for shade. Please come prepared with beach chairs, blankets, plenty of water, and light snacks. Food is usually available for purchase. It’s a good idea to have some games/cards to keep kids occupied. What is the Coaches Choice Invitational? This invitational usually occurs towards the end of the swim season. A limited number of our most competitive swimmers attend this meet based on individual performance at the discretion of the coach. How can I qualify for the Championships? In order to qualify for Championships, swimmers must have “A” times in any or all of the strokes, and can also participate in a relay. What are parent volunteer responsibilities? 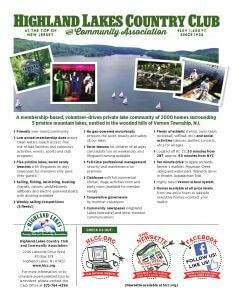 Volunteers are at the heart of all activities in our community. Our swim team would never be what it is today without all of the volunteer efforts that built it through the years and the many volunteers that actively participate on all levels throughout the summer. Regardless of the amount of time you can give, there is always something that you can contribute. Please join in the fun. You will be glad you did. Find out how you can help. Where can I go for information about team activities? The swim team section of the website provides pertinent details on the team, swim meets, volunteering, swim attire and our practice schedule. You can email us if you want to ask a question and if you provide us with your email address on the registration form we will include you in all team email blasts. The bulletin boards located under the deck adjacent to the swim lanes are used for posting meet results, time standards and any important notices. Also, directions to meets and Invitational forms are in envelopes attached to these boards. Finally, you can call the Athletics Hotline – 973-764-6674 – to get information regarding practice and/or meet cancellations. Do you have any kind of awards dinner? Why yes we do and it is the perfect way to end the season. Our annual Swim Team Awards Dinner is held at the clubhouse. Details are announced towards the end of every season.